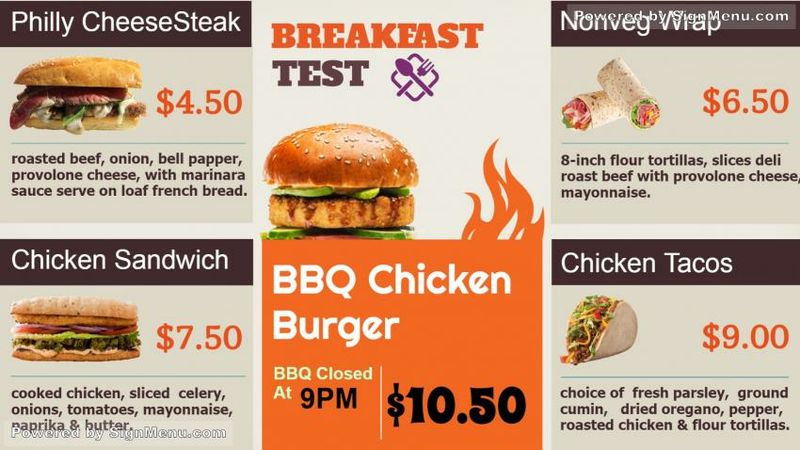 This template showcasing the numerous offerings of a breakfast menu is best presented on a digital menu board placed either at the entrance or indoors of the restaurant. Most quick service restaurants worldwide have adapted to digital signage today, after having witnessed guaranteed sales & revenue growth within their trade. Digital signage technology has enabled many benefits which the restaurants never thought possible earlier. Better customer engagement, flexibility in updating the menu board for up-sells & cross-sells, remote control of operations, are only but a few of the path-breaking initiatives . This template is ready for download and use.